See 25+ T.J.Maxx Store Pics + Easter Weekend Sales! Happy Easter Weekend! I've been at several T.J.Maxx locations in the last week and wanted to share some of my favorite finds I spotted so you'll know what to look on your next shopping trip. 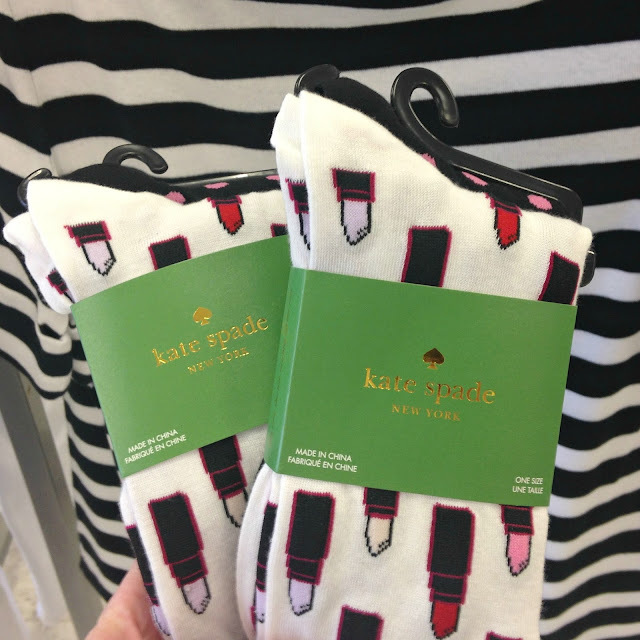 Each store, I spotted a different Kate Spade item, pretty much the reason for the multiple stops. In less than a month, Target stores will be flooded with bold prints from Finnish designer Marimekko for the latest collaboration. While I appreciate the designer's style, I probably won't be buying clothing from this collaboration, which is somewhat of a relief. This collection is focused on the outdoors and consists mainly of swimwear and coverups, with hats and flip flops also in the mix. The home decor is easily my favorite and the tote bags are tempting my wallet too, excited to see all of it in person. Over 200 pieces are included across the board that also includes Plus sizing and girls clothing. Details on which items will be available online only or in selected stores as it gets closer to the launch date. What do you think of this collab - anything on your wish list? 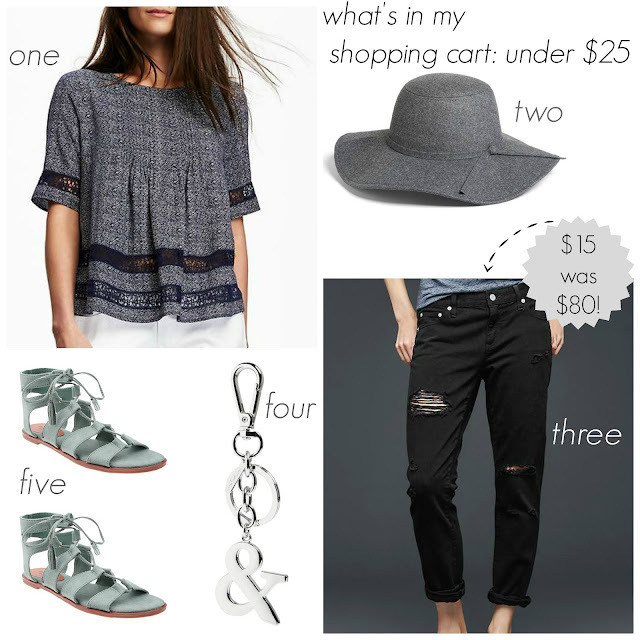 Friday Favorites: under $25 + Tory Burch Sale + More! Happy Friday! Even though Spring officially starts this weekend, I feel like Los Angeles didn't get the memo since summer temps have been hanging around since early February. Naturally I'm starting to look at beachy attire and shorts, despite my endless love for sweater weather. If I really listed all of my favorites this week, it would be everything from the new H&M collection, seriously make sure to check it out this weekend if you can! What are your favorites this week - any stores I should add to my weekend shopping list? 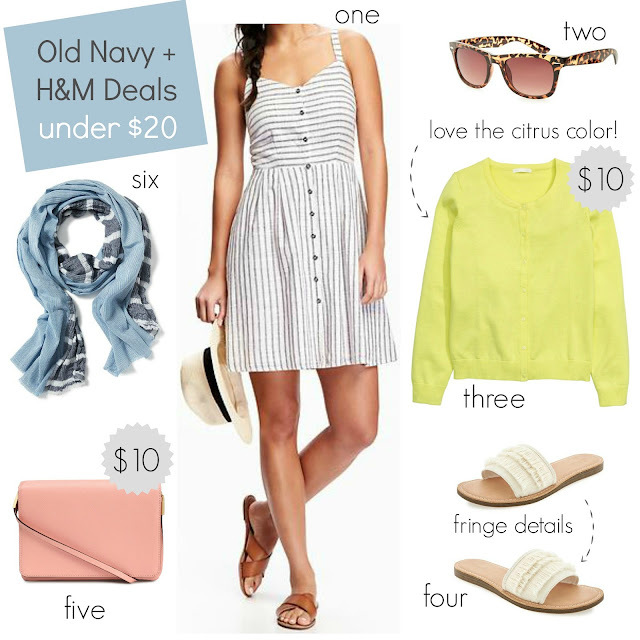 Shopping Cart: Gap + Old Navy + Banana Republic 35%-40% off! I hope everyone enjoyed their weekend, I was still finishing up my mega-decluttering project and still trying to get organized but it's Monday, so I'm taking an online break for a little shopping...hey, I have some extra closet space to fill ;-) Ever since I saw those mint (mint!!) gladiators on both The Fashion Palate and Your Style Journey's Instagram pages, I knew I had to have them. Friday Favorites: under $25 + Kate Spade Extra 25% off sale items! Anyone else feel like this week went by especially fast? I think it might be since I am in the final stages of finishing what has turned out to be a massive clean-out, de-cluttering, and now organizing project. While I always do a bit of "spring cleaning" every January, I was inspired by asking the core question in the book does this item spark joy? Let me start by saying I haven't actually read "The Life Changing Magic of Tidying Up" but I did read excerpts at the bookstore and that was enough to inspire a change! Imagine what other nuggets of organizing wisdom are inside, I might pick it up this weekend, anyone else read the book? My favorites are a bit smaller this week since I haven't been out shopping as often and a few things weren't online yet...yadda, yadda (thanks to Seinfeld quotes I still use over a decade later), here are my favorites for the latte-colored addict!